For the first time in history, during November 2018, the World Congress of Audiology was successfully hosted in Cape Town, South Africa. It was a great privilege to be part of this event, especially with hosting a pre-congress workshop. “Getting your head around vestibular assessments” is an appropriate name for a very informative workshop in vestibular medicine held on Saturday 28 October 2018. 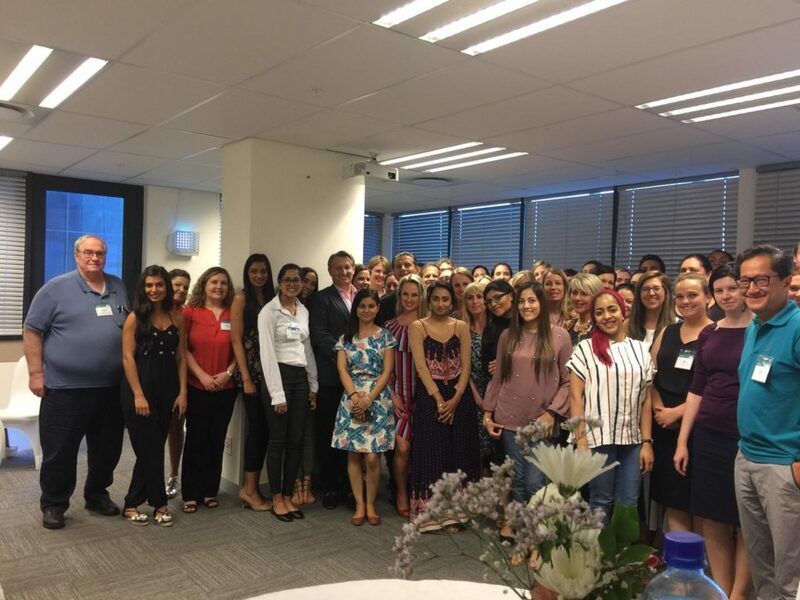 It took place at the Netcare Christian Barnard Memorial Hospital and 70 audiologists, from all over the world, attended. The workshop was organized by Mariet du Plooy (Audiologist) a member of the South African Association of Audiologists (SAAA). The lectures were presented by myself and Prof Michael Strupp, world renowned neurologist from Munich, Germany. Prof Strupp’s attendance was made possible by the support and sponsorship of Abbott laboratories, Amtronix and Oticon medical. In the first part of the workshop the emphasis was placed on vestibular testing of the peripheral vestibular system, utilizing videonystagmography (VNG). Different aspects regarding the interpretation of the test results as well as common mistakes were addressed. The clinical importance and practical implication of the test results were discussed with the audience as seen through the eyes of a referring ENT specialist. What relevant information needs to be reported to the referring was a focal point. Some of the examination techniques were demonstrated with the equipment and kind help of the company representatives. The second part focused mainly on central vestibular examination and conditions. Aspects of the clinical examination were demonstrated with specific emphasis on the video head impulse test (VHIT). Prof Strupp utilized his practical way of teaching by using case histories and excellent video material to simplify concepts of the central vestibular system. The workshop was well received by the participants as well as the trade. There is a need for these training opportunities in Sub Sahara Africa and therefore it was decided to look into the possibility of hosting a Masterclass in vestibular disorders with Prof Michael Strupp in South Africa in 2019.